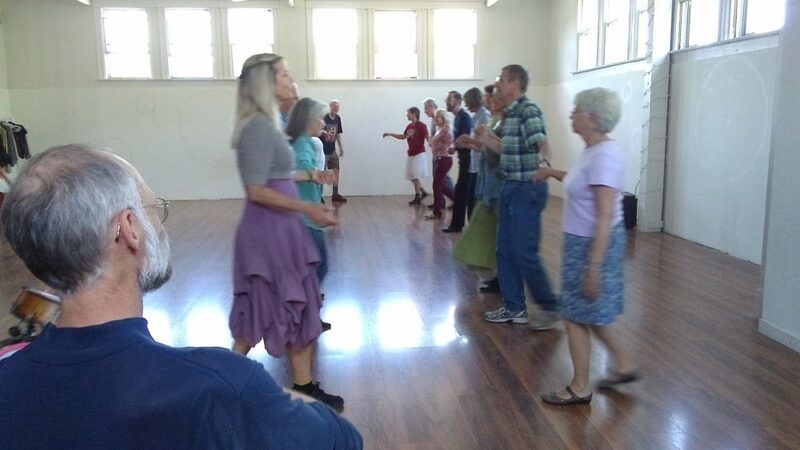 1st Tuesday of the month is Contra dance night at Art Center East. Contra dancing is an American folk original, older than our country, but up-to-date as tomorrow – a true living tradition! You and a partner interact with everyone else in the hall, dancing a repeating pattern to energetic music, sometimes walking, sometimes spinning. This exhilarating dance style accommodates all experience levels, from the newbie to the enthusiast. No experience necessary, drop-ins welcome. Comfortable clothes and low heeled shoes recommended. Please enter through the Penn Ave door. Teaching Artist Bio: Mark Lewis has been enjoying Contra and other forms of traditional dance for over three decades. His life changed when he discovered these hidden gems, and ever since he has sought to reveal their magic to others.